As such, rail service has been left behind in the way many people think of today’s logistics and supply chain optimization, whether currently using rail service or not. 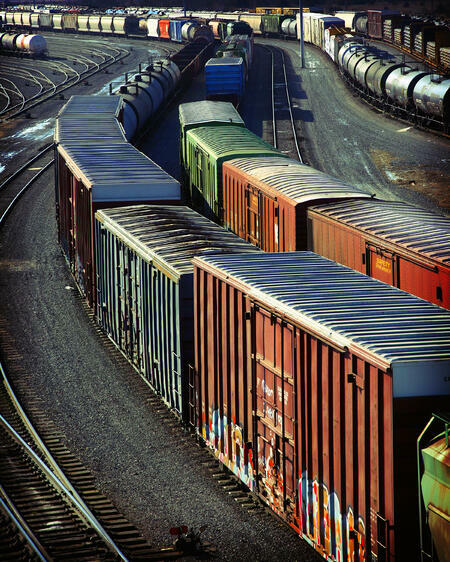 This blog focuses on bringing awareness to rail logistics service solutions by helping current and potential rail shippers understand there may be a better way for them to access rail services to take advantage of everything this mode has to offer their logistics and supply chain strategy. We will discuss the in’s and out’s of rail service, the companies that serve the market, what the value add services are for shippers and how to get the most from them. Before digging into the topic of rail services, we do have to start off with discussing intermodal and rail service because they are significantly different and could cloud our discussion for some readers, so for those familiar with differences, please give us your patience over the next few paragraphs. Intermodal is focused on the 53’ capacity freight market through the use of containers that move on the rail for the long haul segment of a shipment; they are transferred to a chassis for the over-the-road dray segments of a shipment. In the case of this article, intermodal is defined as utilizing both truck and rail to move the 20’, 40, and 45’ ISO containers and the 53’ domestic containers within North America. Intermodal is a more economical and environmentally friendly alternative to truckload for shipments of 700 miles or more. Intermodal is a direct competitor to motor carriers, freight brokers and logistics service providers (LSP’s) on lanes of 700 miles or more. 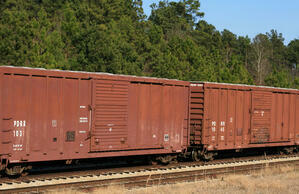 There are two types of domestic intermodal shipping in container-on-flatcar (COFC) and trailer-on-flatcar. Both COFC and TOFC are used in the domestic intermodal market. The domestic boxes and trailers stay within the confines of North America (USA, Canada and Mexico) There are a number of service providers specializing in this market working on modal conversion from truckload to intermodal for both the contingent 48 US states and cross-border shipping between USA-Canada-Mexico. The 53’ domestic intermodal market is a direct competitor to truck and therefore the Class I railroads do all they can to make not only intermodal cost competitive, but also transit competitive with many of the lanes having the transit equal to truck transit, plus a day. The ISO containers move throughout the world and are probably the number one game-changing factor in making the global trade economy what it is today. The ISO boxes can be utilized for domestic freight moves, although their primary use is to facilitate movements between countries via the major steamship lines. If the ISO boxes move inland, they are often very competitively priced in the repositioning market, often called the repo market, as the containers are either reused for export or used in domestic freight movements to reposition the containers back to the major port markets to be shipped back overseas to be packed out with product for a return journey. Rail service focuses on efficiently moving bulk material across great distances over the railroads’ vast network of tracks running throughout North America. Since rail service has to stay on the tracks, they can only move between rail-served buildings or yards specific for the bulk freight it intended to handle. Unlike intermodal, rail service is not a direct competitor to truckload on price or transit. The service is much different and therefore not for everyone, but when it is a fit for bulk material, there is tremendous cost savings. The challenge for most companies that could potentially take advantage of the service is that the freight is required to move from one rail-sided building to another, which are few and far between because of the cost and the logistics required to run the tracks off the main line to a rail sided building. This situation can be overcome by aligning with any number of logistics companies that can provide the cross docking services to move the freight from a truck into rail equipment. Shippers in the paper, construction and building materials, agriculture, manufacturing, petroleum-based products, energy, chemicals, forest products and automotive are familiar with rail service, but there could be more, and the ones using rail today may be missing the “boat” on how to be more efficient at what they do today. Essentially, any company that needs to move heavy, bulk material consistently is a great candidate to use the railroad for its logistics requirements, although one often overlooked opportunity for companies is to use rail logistics services for bulk special project needs. These special projects can save companies tens of thousands of dollars, but since a company does not play in the rail service space, they don’t even consider the opportunity or know where to turn to receive help. Designed to move automobiles, trucks, SUV’s and mini-vans. The most common type of rail service. Designed to transport crated, palletized or large bulk items, such as paper stock rolls. Used to transport bundled building supplies. It has a center partition that secures the product in place. 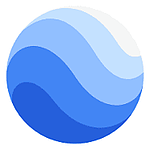 Designed to handle free-flowing dry bulk commodities that are loaded from the top and product is dispersed from the bottom. Designed for coiled steel and steel plate, along with other high-grade ores. Interesting piece of equipment, in that, these are designed in a variety of lengths, tonnage capacities for various commodities that are not subject to damage from the outdoor elements. Used to transport heavy bulk materials like scrap metal, aggregates, coal, lumber and many of other similar commodities that cannot be damaged from the elements. Similar to boxcars, but with adjustable temp, refrigerated units can ship fresh fruits and vegetables, frozen foods and other perishable products that need to be temp controlled. 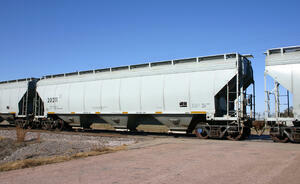 These are used to ship heavy, dry bulk commodities that are not affected by the outdoor elements. The product is loaded on the top and discharged through bottom gates that dump into storage pits below. Designed to ship liquid or compressed commodities. Think of chemical and petroleum-based products. 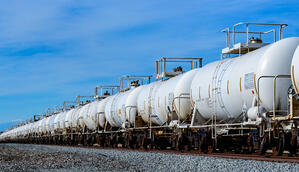 Non-railroad companies own most of these tank cars. There are many specially designed rail equipment used on the railroad to move specific commodities for a particular company. The game changer that many companies have found to help them either start using rail in their logistics and supply chains or those doing the same thing over-and-over again only to get the same result is logistics service providers (LSP’s) offering their services to help. Many companies have been so busy doing what they do best that they have missed the outsourcing of rail service to a logistics service provider, as those have done with truckload, intermodal, LTL and other freight modes to optimize and drive down costs. LSP’s offer their rail logistics service solutions to help facilitate the rail shipping process so companies can gain the efficiencies they knew existed but had difficulty tapping themselves because of resources or priorities. These services give shippers access to technology, industry knowledge and processes that allow them to start using rail for their business, while current rail users manage the process to avoid delays and accessorial charges they have come to think is just part of moving over the rails. The reality is: neither staying on the sidelines of using rail service or accepting lower KPI’s needs to exist, so let’s continue to dig into rail logistics services further, so your company does not fall into either of the groups just described. 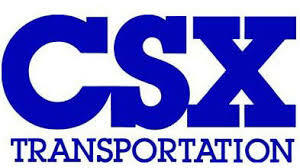 First and foremost, rail logistics service solutions companies have deep relationships with the Class I railroads. As you know, the logistics and supply chain industry runs better when you have trusted relationships that have developed over time through numerous transaction that have existed in both the great times and bonded tighter when things did not go as well. While relationships with Class II and Class III railroads are needed for the entire shipment process to run smoothly, it all starts with the Class I’s and these relationships run deep with the right company. The rail logistics service companies have many key contacts to help provide the best price and transit for their customers while allowing shippers to focus on making their business GREAT. What and who are the Class I, Class II and Class III railroads you ask? This railroad class continues to redefine itself because those on the cusp of being a class I like to work to ask for a rules changes, so they do not fall into the top class and have to take on additional rules, regulations and costs. Currently, class II railroads are defined as having revenues between $447.6 million and $35.8 million. Class II railroads are often referred to as the regional railroads. Currently, class III railroads are classified as any railroad with operating revenues less than $35.8 million. Class III railroads are often called short line railroads. After finding a logistics rail service provider, which InTek is one, dig into how they manage and communicate with the railroads and their customers to provide their value add rail service. The key points within the value-add rail services come through technology, industry knowledge, key connections and repeatable processes. With that in mind, let’s walk through the various components. There is more to managing the movement of rail equipment than just taking the order. 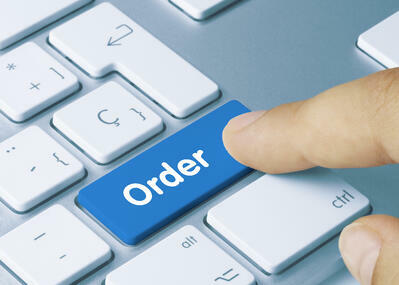 A value-add with car order is to pay close attention to the pool allocated to your business and pool costs money. The rail service provider you select should manage the inventory equipment and do more than order the next piece of equipment in because there are times the pool can either grow quickly because of cancellations or can shrink quickly because of a surge need. Either can be costly, with one being an accessorial charge related because the equipment has to turn at specific intervals or storage charges will climb exponentially or the equipment pool is short and cannot support the business and force a more costly freight mode while waiting for the rail equipment to arrive. The key here is productivity, and it all starts with the initial call of rail equipment. Rates and routes seem simple enough, but like most things it is not as simple as it appears. 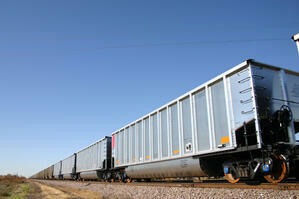 The rail rates are based on commodity types, equipment required and service locations. Often there are multiple locations in a city the freight can move through, with each having a much different rating structure because of the regional or shortline the building resides. 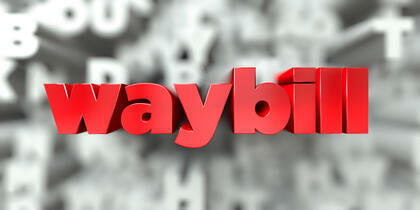 Again, waybilling seems simple enough, but it is the key document that ensures the best transit at the correct rates. This document gives the railroads involved in the shipment the details and instructions from origin to destination and the route the freight will move in between those two points. A bad waybill will gum up the entire shipment causing delays and increased costs. We all have been in the freight and logistics industry long enough to know that shipments do not always go as planned, so this is why you need to align with a company that does not take their service for granted and they treat your freight like it is their own. For this to happen, the rail service provider needs technology that allows them to manage the exceptions so they can spot a problem before it happens. Demurrage and other accessorials do need to be managed to a minimum because the costs can escalate quickly if one is not paying close attention to the details. As we said, the process starts with the initial order. Here is where many of the problems begin. The next step is to watch the transits and the interline activity of the freight as it is often handed-off to various railroads in the freight shipping process. One stop and interline that does not come together as planned can increase the cost of shipment quickly. If additional accessorials do hit a shipment, it is key to communicate to all parties the situation and find solutions to mitigate the damage. After the shipment makes its finally delivery it is key to have the details on the costs, so when it is time to settle payment the documentation is easily accessed for proper payment. What we continue to find in this critical area is many rail shippers are paying way too much because they have come to accept this is “normal” cost of shipping rail, so they just deal with it. We disagree with this, so let’s jump in together and help resolve the situation and reduce your rail freight shipping expenses. There is so much more to a rail service invoice, than just numbers on a sheet of paper or EDI transmission. Opportunities for overbilling on any line item can cost a shipper thousands on either the incorrect rates or mismanagement of accessorials on a particular load. The best freight audit and pay companies and TMS software packages allow rail service providers to quickly identify and rectify the situation to ensure the company only pays what it is responsible for during the final settlement of the shipment. Each year the data collected through the freight audit and pay process will be bumped up the latest rate proposal to identify the impact of rate changes and find ways to reduce the overall cost for the coming year. Last but certainly not least is reporting and analysis. Through the capture of data within the transportation management system (TMS) the rail service provider operates brings with it a tremendous repository for a full picture of all the freight moved within a company’s logistics and supply chain. When harnessed this data can be a game changer in identifying opportunities for transit and cost savings for both the short-term and long-term strategic moves. As you have read, there is more to rail service than meets the eye, and we’re here to assist in your discovery process on whether rail freight service is something you should consider or if you are already using rail for you logistics and supply chain needs helping to work through what provider will be a good fit for your company. Either way we’d love to be a part of the conversation. Also, if you are currently working direct with the railroads on your rail service logistics now may be a good time to consider a managed transportation service solution to outsource the rail logistics, while you focus on making your business great. Read more for on managed transportation service solutions and the cost of managed transportation to see if this may be an option you want to explore further. If you are looking for more information on intermodal and rail service there are two great organizations just a click away to can help you learn a bit more in the Intermodal Association of North America (IANA) and Association of American Railroads (AAR). Both are great advocates and resources that will help you in your understanding of the industry. To learn more about visit the InTek Freight & Logistics website and / or follow us on our weekly blogs. When it makes sense to talk more, please do not hesitate to reach out. Learn more about InTek Freight & Logistics and follow us on our weekly blogs.